The TAGG PowerBass-700 is the successor of the PowerBass-400 and comes with an upgraded bass response. The headphones will be available for purchase on the company website as well as on Amazon and Flipkart. TAGG has launched PowerBass-700 headphones in India for Rs 2,999. The TAGG PowerBass-700 is the successor of the PowerBass-400 and comes with an upgraded bass response. These wireless headphones are also equipped with the new bass toggle and will be available for purchase on the company website as well as on Amazon and Flipkart. TAGG, a leading Indian electronic gadgets brand, announces the launch of its wireless headphones PowerBass-700 in India. Coming as successor to the PowerBass-400, the headphone comes with an upgraded bass response to deliver powerful sound with deep bass. The headphones will be available for purchase on the company website and popular e-commerce platforms like Amazon and Flipkart, at a price of Rs. 2,999. 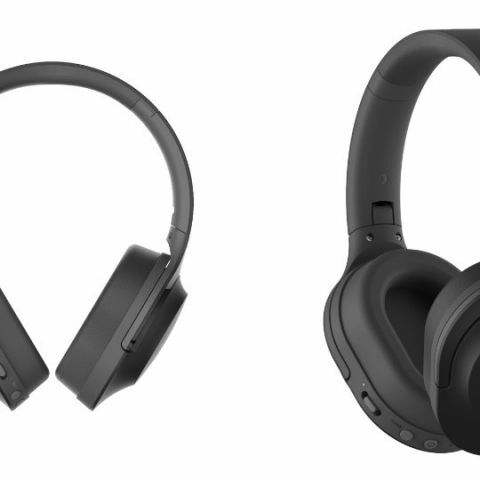 Weighing just 200 grams, the lightweight Bluetooth headphones are equipped with cutting edge and industry leading CSR8635 chipset that offers a seamless connection with smartphones, tablets, laptops and PCs. These wireless headphones are also equipped with the new bass toggle that produces super extra and high response bass with the press of a button complimenting high definition sound, courtesy its 40mm drivers letting you enjoy your favorite songs with utmost clarity and precise bass response. In addition to that, the powerful 500mAh battery enables music play time for up to 14 hours, ensuring long lasting and uninterrupted music listening experience. These wireless headphones comes with premium scheme and snug design that makes it extremely comfortable to wear as the 20mm soft covered/padded ear pads provide exceptional wearing comfort even after long listening sessions. It also features ergonomically pivoting side-swiveling ear cups and a stout foldable headband design that allows perfect portability while on the go. In addition to that, these headphones can be used through both wired and wireless connectivity due to its Bluetooth connectivity and provided AUX cable, while the functionalities including inbuilt microphone allows users to answer calls without any discomfort and the volume control button allows increasing or decreasing of volume for ease of usage.